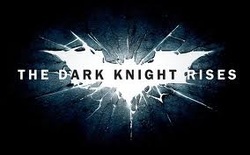 We went to see the Dark Knight Rises on the 24th of July. It was a good time. It was a little long and dark...I can't say I loved it. But I also didn't hate it. The first two were so amazing I was a disappointed. I guess it is over now, so we can only hope the next Batman revamp is good. We went to Ted a few weeks ago... I am really sad about the fact that my boyfriend Markie Mark has become a "real" serious actor and isn't taking his shirt off in his movies. Makes me sad... 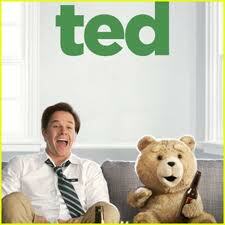 But Ted was funny anyway. 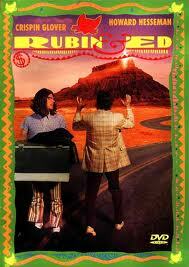 It wasn't ground breaking, but it is exactly what you would expect and had some good laughs. 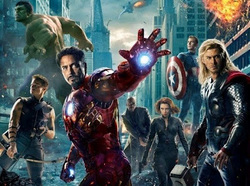 Tenz is of an age that we don't get out to movies much any more... but it is my Mother's Day present to go and see Avengers sans my son and we are finally getting to that today! Yippee!! This is a show I have stumbled across and it is really funny. I love James Van der Beek as James Van der Beek and the girls are not super hot, yet attractive. I like that they are kinda real life, but hyperbolic? I don't know. Just a funny show. 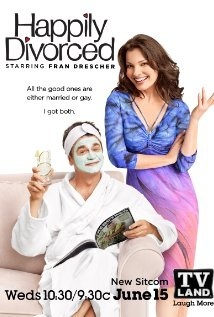 Also been watching Fran Drescher's TVLand show, Happily Divorced. It is old school comedy with cheesy lines and facial expressions to the camera and I like it. It is nice to have a really cut and dry show with no subtext or on-going deep plot. 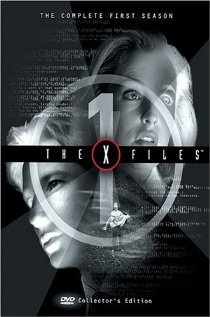 I've decided that this summer as I work on my crafts and projects I am going to rewatch the X-Files from the beginning. I sure hope it holds up to my memory! I have long since been wanting to make a list of TV shows that I like to watch so I can remember what to Hulu or Netflix. 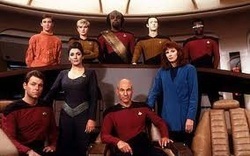 Anyway, so my new/old addiction is Star Trek The Next Generation. It is streamable on Netflix and I've started at the beginning. I love it! 1. Hesher - I finally saw this...a little disappointing. 3. I Love You Phillip Morris - This was kinda depressing. But good. Jules and I went to 50/50 today and it was really good. 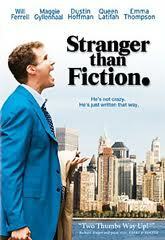 It was well written and well acted and funny and sad and sappy and all the good things that a movie should be. I would definitely recommend this to anyone. I found out, or refound out, that you can rent movies for free from the library. I guess it isn't renting if it is free. Anyway, I am getting some of those odd, artsy movies that I haven't ever rented from the library. 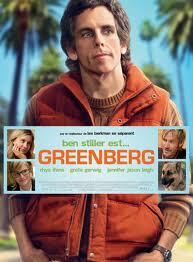 Most of them have been so-so...but I really did like Greenberg with Ben Stiller and The Wrestler with Micky Rourke. 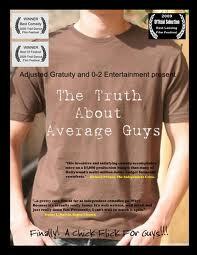 LymeLife with Alec Baldwin wasn't so great and The Truth About Average Guys was down right torture to watch. But it was free!! Finally got to see this again last night...it was my escape from my hormonal highway of tears (see rants)...It is just as funny as I remember. So stupid, so silly, so funny. I think this might have to go into my to buy list. I am sure I can find it for cheap. I have been digging into the old stash of movies at night to relax and go to sleep since we don't have any cable or TV upstairs. Last night, Legally Blonde. I forgot what a cute movie it is. Please see my Legally Blonde post in rants and raves. I watched Hitch the night before and it is really dated, but still makes me laugh. I have also been watching Dharma & Greg (since we ran out of Big Bang Theory seasons to watch). I only have Season 1 and I would really like get more if there are... but I am not sure if they have released it? Then, I dug into the Pete stash... and he has all the dead children movies. I am not sure why, it creeps me out a little, but I have watched The Forgotten and Godsend from him pile this week. I am surprised he doesn't have The Ring, wait, maybe he does? 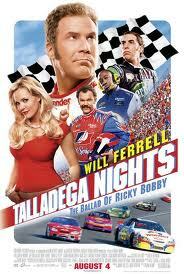 We rented Everything must go last night from Redbox...I was having a hankering for watching Taladega Nights: The Ricky Bobby Story, but Netflix didn't have it streaming and neither did Redbox...going to an actual video store was just out of the question, so we got this because it had Will Ferrell. I would definitely rewatch this movie if I was in the mood for a drama and would recommend it to people who want a good slice of life movie. I went to a few movies this summer that I would like to document for you...or me, whomever. 1. The Smurfs. I, of course, have been super excited for this for a long time. It was super cute and did the old cartoon justice and still worked to bring new fans to the cute little blue guys. Since I have Tenz's room decorated in the Smurfs, guess I'm glad about that. This is a BUY movie for sure! 2. We went to Thor this summer, took the baby and he slept through it like a pro. It was OK and I might watch it again in a few years...but I honestly can't remember very much about it other than I thought it would be 13 year old Zach appropriate. 3. The Green Lantern...I feel basically the same about this as Thor. It was entertaining and I would watch it again, someday, but not the world's best movie for sure. 4. After our Book Club read The Help we all went and ate sushi and saw the movie. It was really good, even if they did deviate from the book quite a bit. It made me cry in several places and was just a really well done movie. But it was/is depressing and not the feel good movie of the summer by a long shot. See the Smurfs for that :-D.
5. I watched The Girl with the Dragon Tattoo Trilogy over the weekend. I didn't love the books...the 2nd one the most because it was about Lizbeth and not so much Michael Bloomquist...but they did fascinate me and after I was done reading, I liked them more and more. So Netflix had the Swedish Trilogy and I thought I would watch them before the watered down American versions start coming out. I really enjoyed them. The girl who played Lizbeth did a great job, the English actress has big shoes to fill. Much like the documenting of Book Club, I want to start and document the movies we have watched. Give a short blurb/review on them so I can remember if I liked them or not. I used to have a memory and would just know if I had seen and/or liked a movie. But that day has passed us by... I have a hopelessly pathetic memory. So, I don't plan on going backwards through time, but when I rewatch movies I will update them.